Congregation Shaaray Tefila has been a part of the city of Glens Falls for over 100 years, and will continue to grow and prosper with your help and interest. Congregation Shaaray Tefila is more than a synagogue. 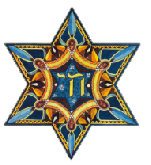 We are a welcoming Jewish community and spiritual home in a beautiful and modern facility. We feel that we have a place where everyone can feel comfortable. A place to pray and learn in a warm and welcoming and friendly environment. We feature: Weekly Shabbat and Sunday morning services, Family Shabbat dinners and services, Traditional High Holiday services and special children’s services, Festival services, Life Cycle celebrations, and a Kosher cemetery. 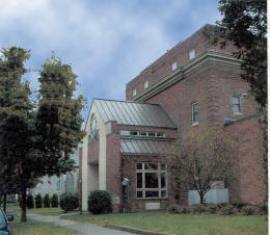 Our building was renovated in 1992. Congregation Shaaray Tefila prides itself on being handicap accessible with a thoroughly modern elevator. We have a beautiful main sanctuary with a museum quality collection of Torah Mantels, a small prayer chapel, a large social hall, a youth lounge and classrooms. We also have a modern kosher kitchen, a lending library and a gift shop.